This listing is for BOTH bangles and everything in the listing photograph. What a perfect gift for sisters. 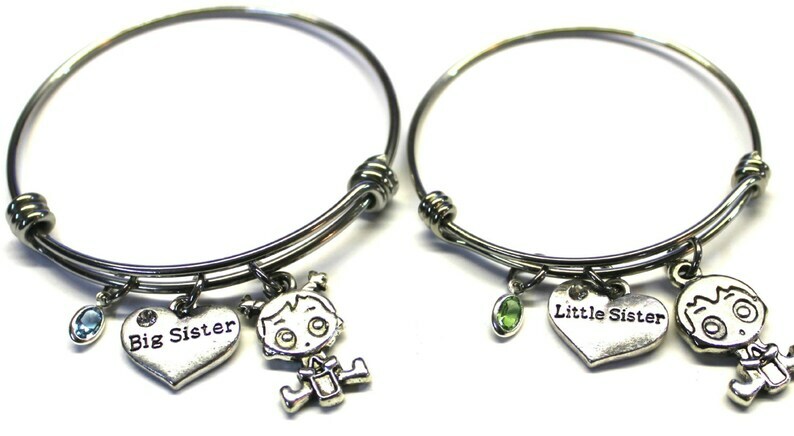 The adjustable charm bracelet is shiny stainless steel, the little sister bangle is smaller than the big sisters. The charms are lead free pewter from the USA. The birthstone is an oval Swarovski channel drop crystal.